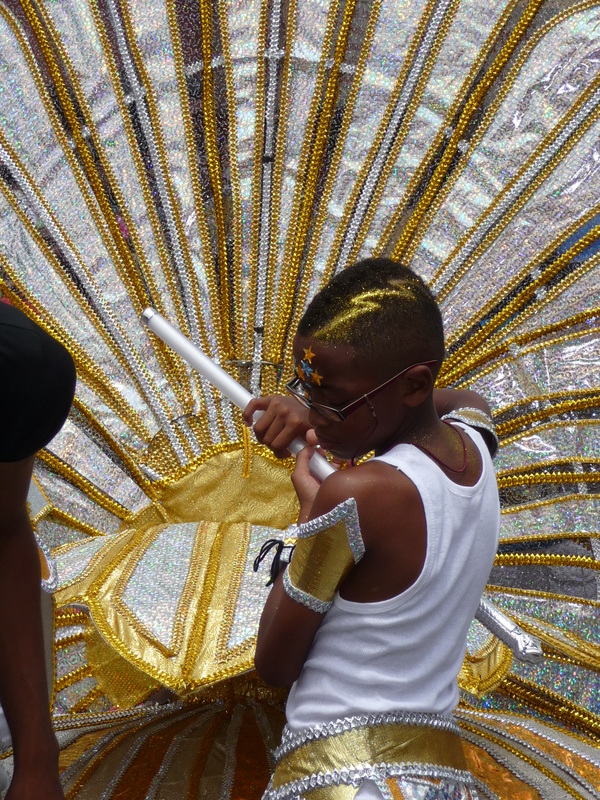 For anyone finding themselves in Trinidad for carnival this time of the year, there is one thing you will be doing for sure: drinking all day, and some more. 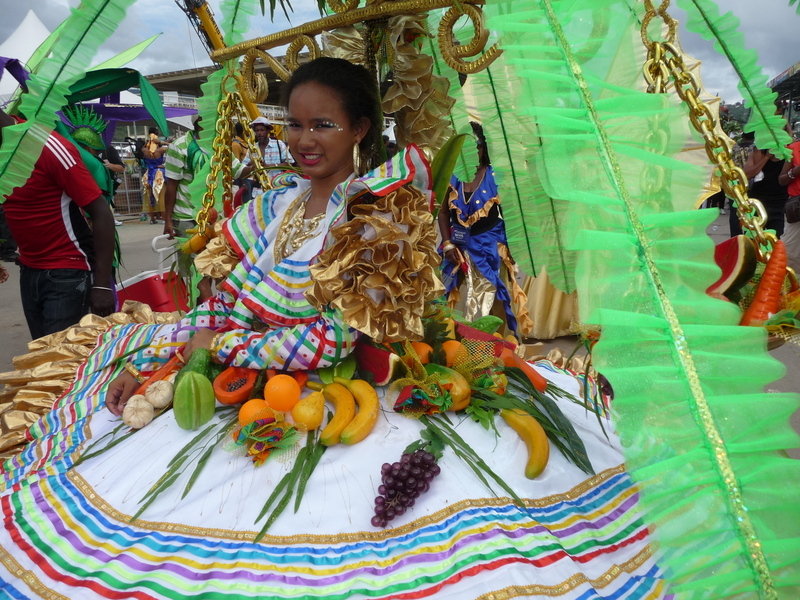 Even without the alcohol, Trini carnival is a mind boggling experience. You would have passed the long queues at arrivals at Port of Spain International without being fleeced by some dodgy border official, through to the non descriptive arrivals hall, maybe welcomed by the sound of steel pan, if you are lucky. 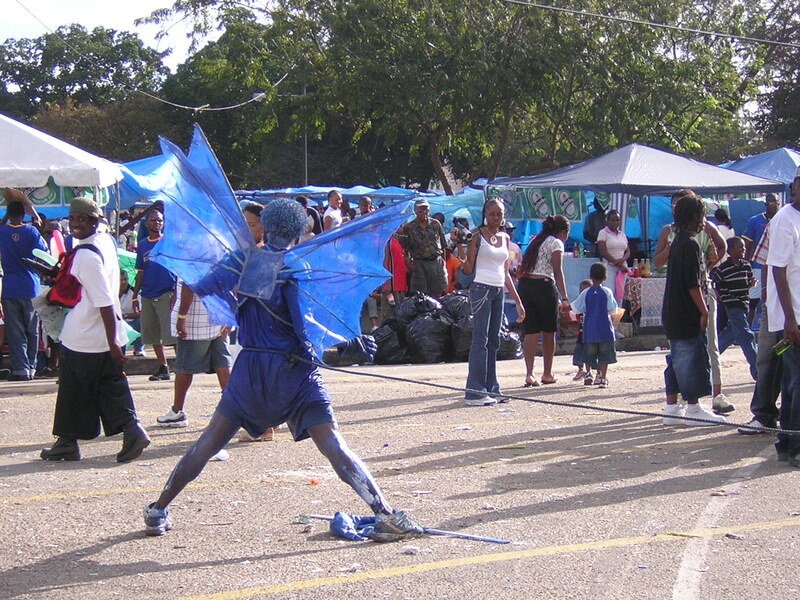 Finding yourself in Port of Spain or Arima or San Fernando, in the morning, among the peeps taking the slow moving vibes about their business, requires a couple of cheeky doubles on your way to your business of visiting mas camps, passing steel pan yards, buying tickets for all inclusive fetes in town. 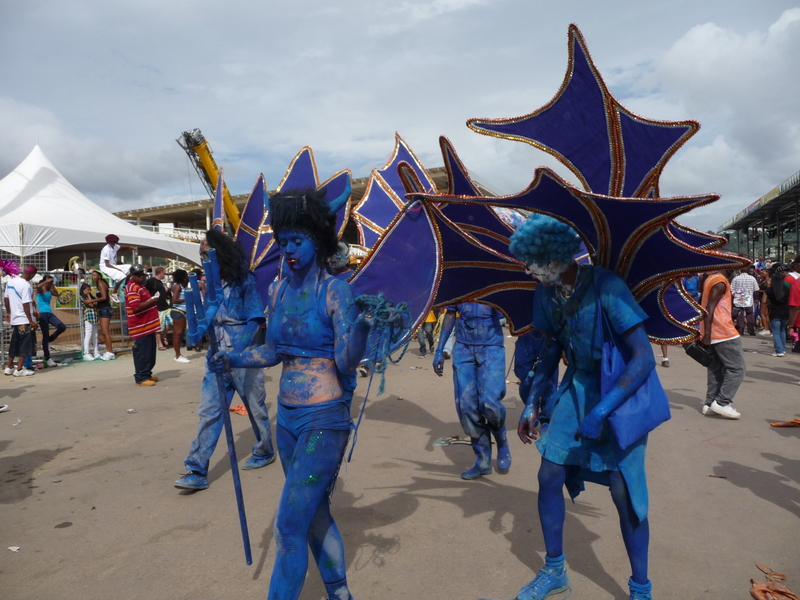 The fetes would have been happening for over a month prior and mas camps are just making small size adjustments, with hours before bands hitting the road. 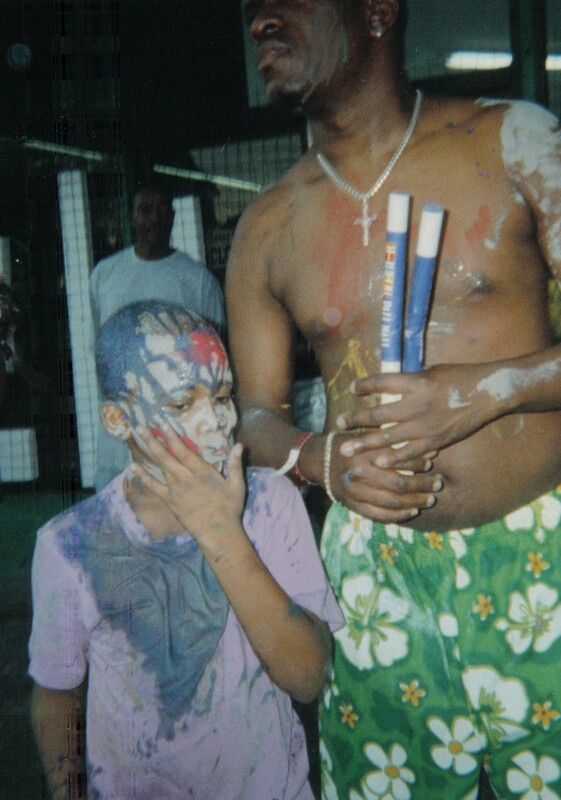 J’ouvert, the morning of carnival. Fear the blue devils blowing fires and hustling you with their tricks. Start 1am at St James. Dress in your worse, you will land somewhere around downtown even worse for wear, at sunrise or well after. The only things you need: drink, money to buy more drink, and someone to give you a ride home to your nearest friendly friend’s breakfast welcome and bed. Just don’t follow some guys up to Laventille, there are other places to drive through for that waterfall sobering bath. With Jouvert done you are well on your way through the Trini carnival experience. 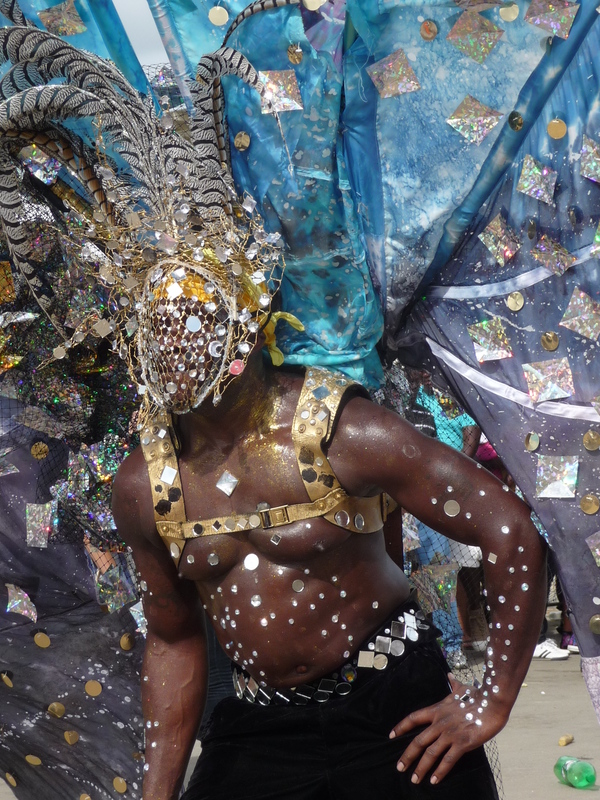 If you can, climb up the hills of Paramin for their local jab jab Moko Jumbies J’ouvert. It is really out of this world walking between the village corners for yet another jab performance literally crawling down or up the steepest roads and paths you will ever see. If not grown up in the north coast, only drive in a jeep and with a local driver. Family cars driven by tourists abandon all hope. Taxi maxi, privately hired is another respectable method of arrival. I fell in love at jab in Paramin. North Coast is not too far if you want to wash the petrol and paint off your skin with a sea bath. Just don’t drink and drive. 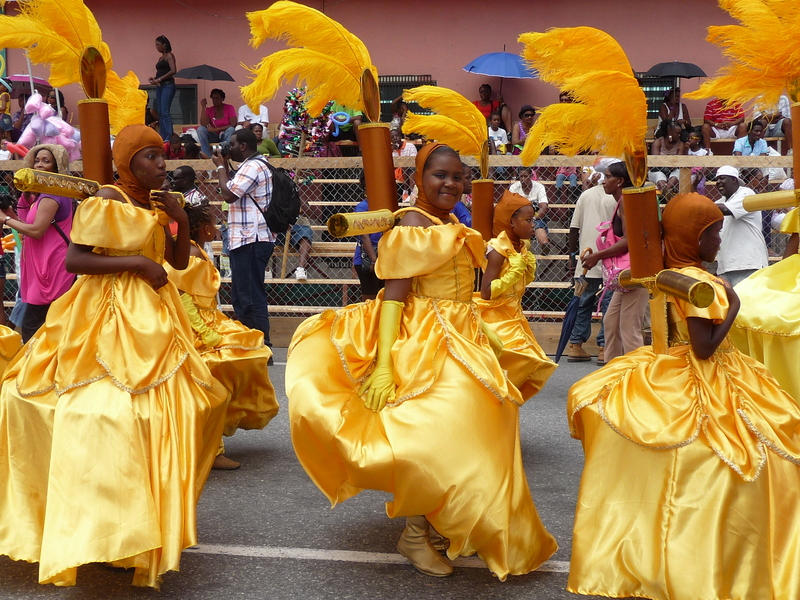 Carnival Monday and Tuesday are kiddies and adults days respectively. I don’t think there is much difference other than the kiddies go through town from what I remember whereas adults move faster to the Savannah and St Anne’s. Unquestionably you will see the best, biggest, most elegantly handcrafted pieces of mas on those days. 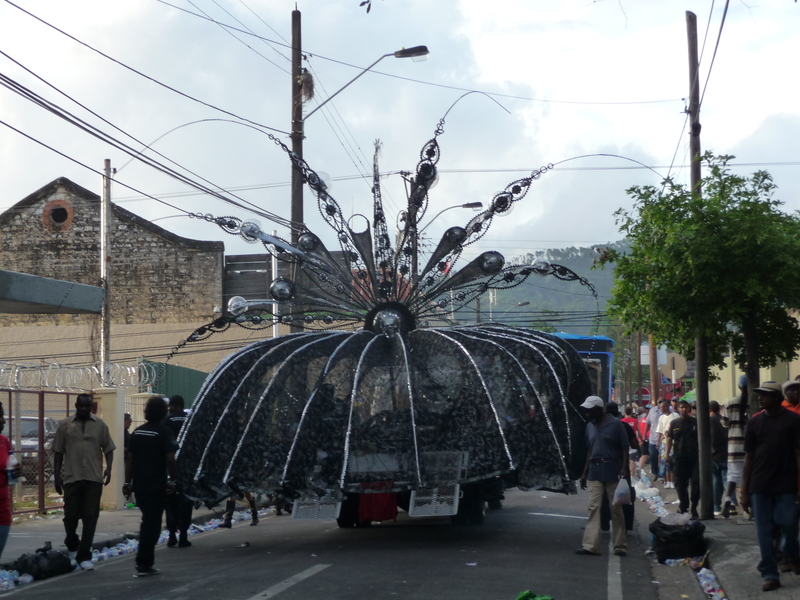 For medium and large costumes the sheer weight of them on the masqueraders is a notable achievement in itself. 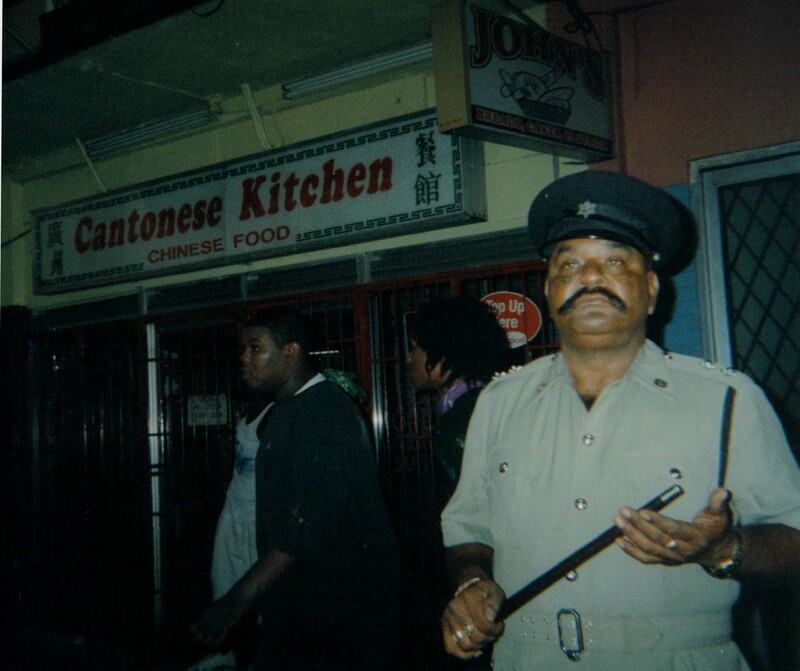 When I first went to Trini Peter Minshal was the winning name of masquerade. Incredibly really talented artists have made Trinidad their home. Chris Ofili and Peter Doig are some among those. I always thought of Ash Wednesday as an anti climax, not for one cause I stayed in the North Coast were thousands of people descent to hang out en mass by any sound system audible from anytime 8am onwards, to also whine and drink. Then a fight kicks off, and another, so less people hang around and it all becomes sort of local again. Handed back to the really slow paced sunny humid sweet tasting bake n shark self. For the small but safe surf, head to Las Cuevas. Previous Trump’s America: a House Divided. Next Why Corbyn needs to go.